Checks if the destination Italian ZIP code is in a remote area, if so reports it with an alert message in order details page. This module will help you to avoid expensive extra costs if the destination of your order is in located in a remote area, choosing a different shipping service. This module shows a warning each time the shipping destination is in a remote area that could imply extra costs for the sender. 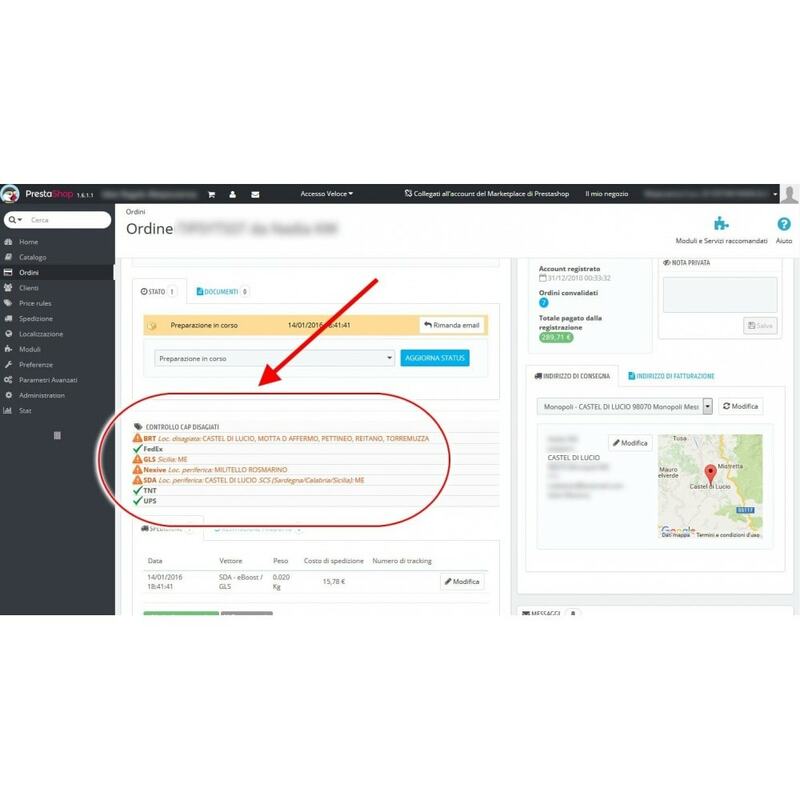 Automatically checks the shipping address ZIP code for the selected couriers and reports if it is ok or if it is included in the remote area list. Many couriers distinguish various types of "remote areas"; for someone shipments in Sicily, Calabria or Sardinia may incur in additional costs, but they are lower than those aplied to send a parcel to a small island like Ischia. For this reason, the module can report notifications in red color (more expensive) or orange (less expensive). The user can enable each kind of area for each carrier. Where available, the list also shows the location name for the remote area of the ZIP examined. 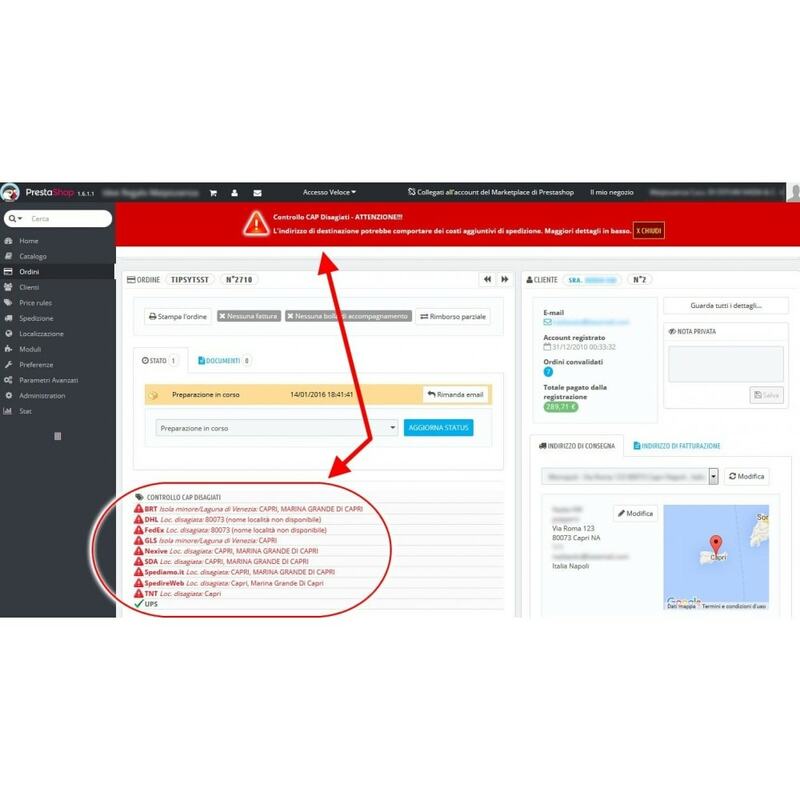 The user can decide if showing only the list of carriers with the green, orange or red icon or to activate an extra warning as an higly visible banner at the top of the page. 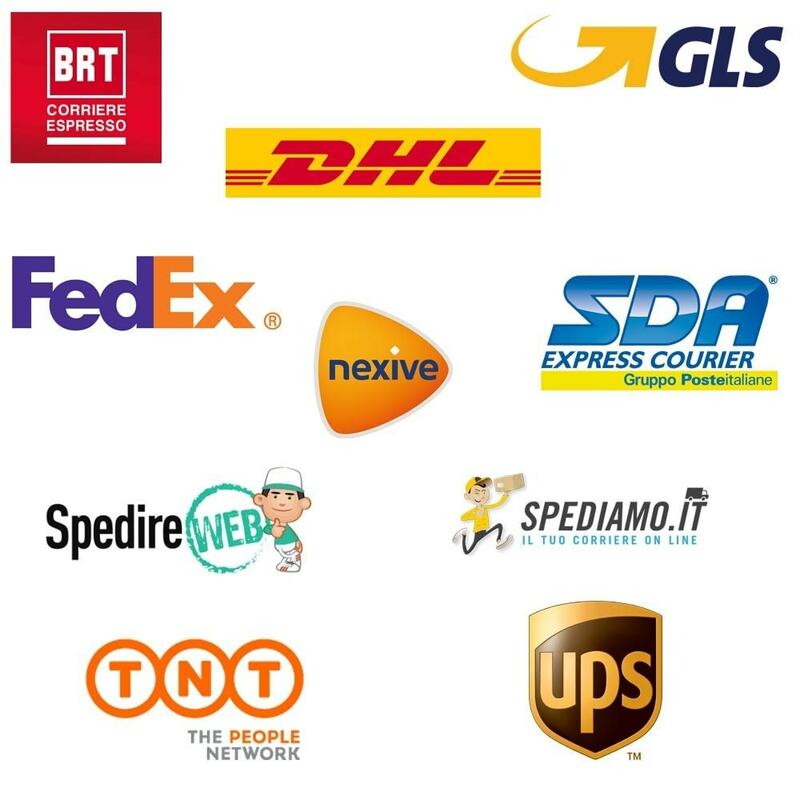 Receive their delivery in Italy, wherever you are with the best available service. 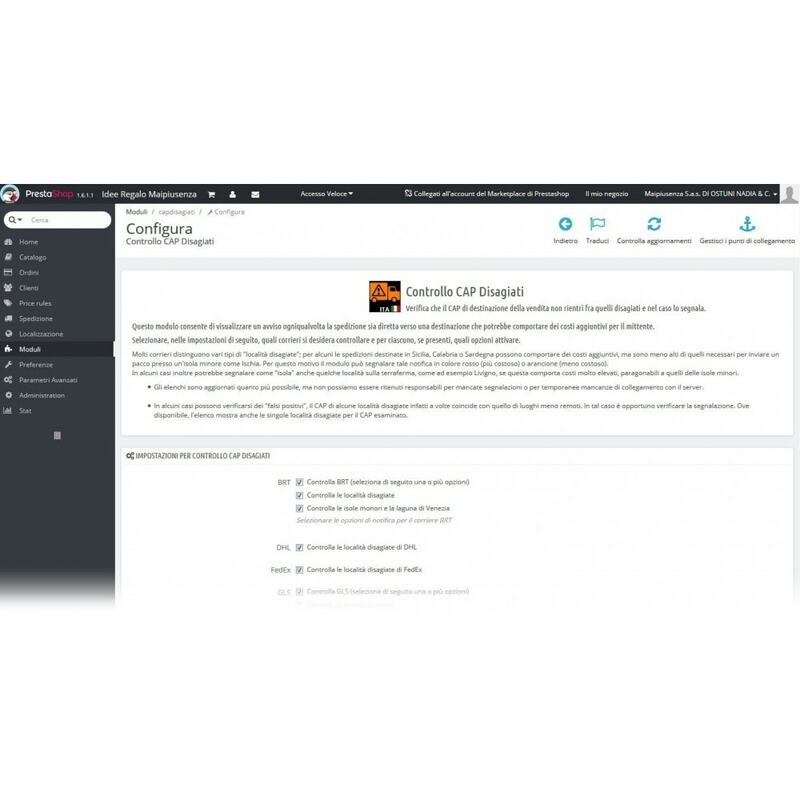 Add the new module in modules page, install it and go to the configuration page to select the carriers to activate. The results will be in order details page.